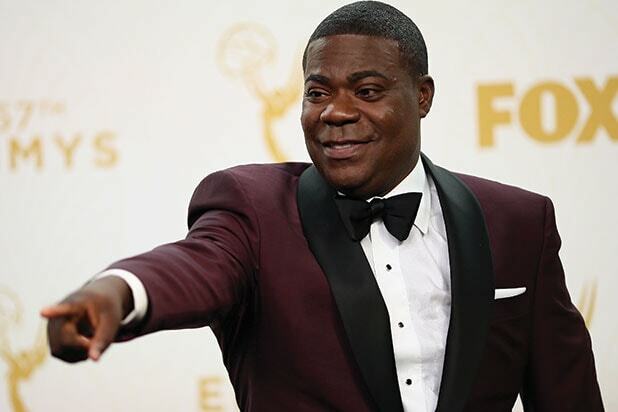 Tracy Morgan is clearly ready to laugh off the June 2014 traffic collision that left him seriously injured and took the life of his friend and fellow comedian, James McNair. “Saturday Night Live” alum Morgan appeared on “Conan” Thursday night and told host Conan O’Brien that he’s “not even mad” at Kevin Roper, the Walmart truck driver who struck the limo bus carrying Morgan, McNair and others. “I forgave him, and I’m not even mad at him no more,” Morgan declared, before noting that the residents of his new neighborhood might have a problem with Roper. Morgan went on to further riff about his new ‘hood. Watch Morgan display the power of forgiveness and humor in the video.